Cable Pulling machines consist of a variety of cable pulling accessories as well as cable drum rollers, machines as well as an array of other machines that help in smooth work flow. Here we will talk about the cable puller winches and its innumerable features, specifications and benefits. A cable pulling machines is powered by a motor which is maneuvered by diesel and comprises of a storage drum which is fitted by non spin wire ropes. It can be operated by a single person with the help of rollers, swivels and pulling socks. All the components are manufactured in-house and ensure the best quality for the customers. cable pulling machines are finished with standard paints or are galvanized and powder coated. There are various kinds of cable puller winch with various specifications among which one has a6.6 HP Amphibious motor and 3 Stage Planetary Gear System, Completely Waterproof, state-of-the-art 500AMP Solenoid and can pull any kind of wires- whether it is a heavy copper insulated wire of a light fibre wire. You can choose from an assortment of cable pulling machines for installing power cables for pulling high tension wires. All the units are implemented and designed in a particular method. All winches are strong, durable and long lasting and comprise of heavy engines that are strong and can pull quite a bit of load. All cable pulling machines are fitted with consoles so that the operator can view the force which is being applied while pulling the cables. 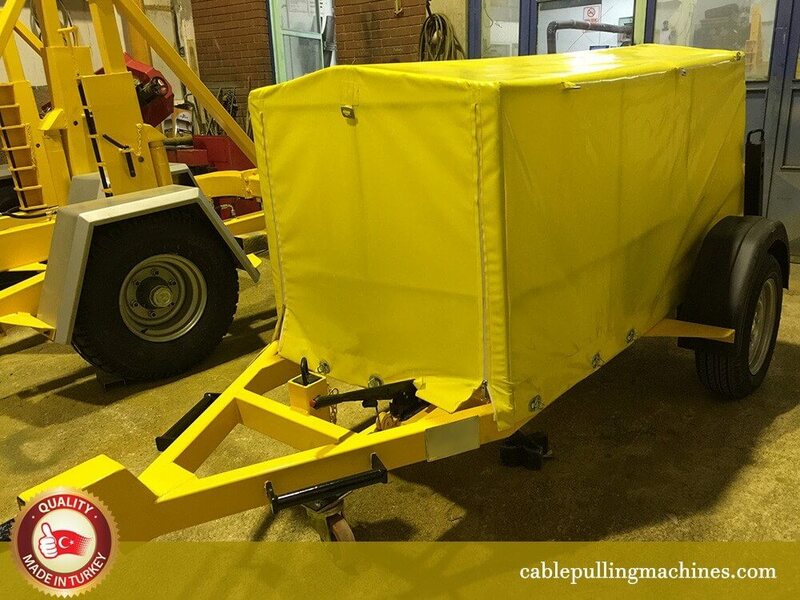 Cable pulling machines can be electrically powered or by diesel. They have different kinds of pulling speeds as per requirements and can pull in both directions. All winches are built with the help of lights and reflectors, mudguards, wind down jockey wheel, and protected by a canopy. Choose from an assortment of winches for all kinds of application. 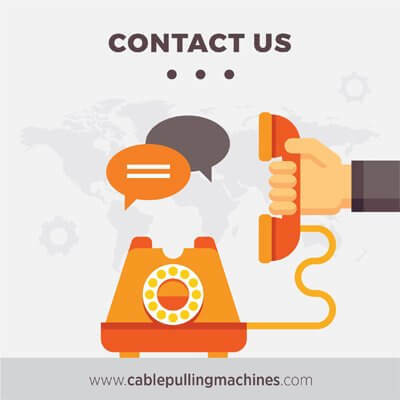 Our cable pulling machines is easy to use, safe and is maintenance friendly as well. We have special pipe renewal winches for pulling high force. We have well trained people who are knowledgeable as well as know their work aptly. They give all their clients’ individual attention and high priority in case of any kind of breakdown they are the first ones to rush to you. We provide some of the best cable pulling winch that can be preset as fast as installed so that they do not surpass the tension while pulling cables. Our cable pulling machines have been designed in a scientific manner so that they can pull delicate fibers as well as heavy copper cables. The cable pulling machines winch provides a great solution for installing long cables in remote locations. We provide unlimited length of pull as well as the choice of the speed of the pulley. They are compact as well as lightweight and can be carried long distances too. They also have reversed rotation techniques for controlling release of heavy load.